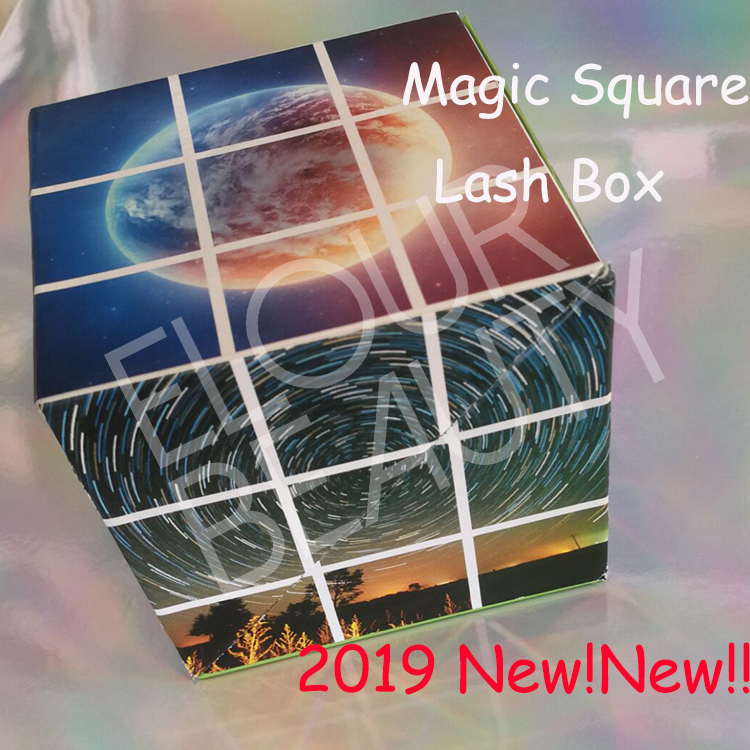 2019 new magic square private label lashes package vendor.The magic square eyelashes package boxes,really magic and amazing.This lash box is our newest lash boxes,that will be the hot selling lashes in 2019,and the newest private label eyelash box in the market.Can do customers own logo and the paper,color can do OEM,customized.Elour lashes private lash vendor,best quality supply. 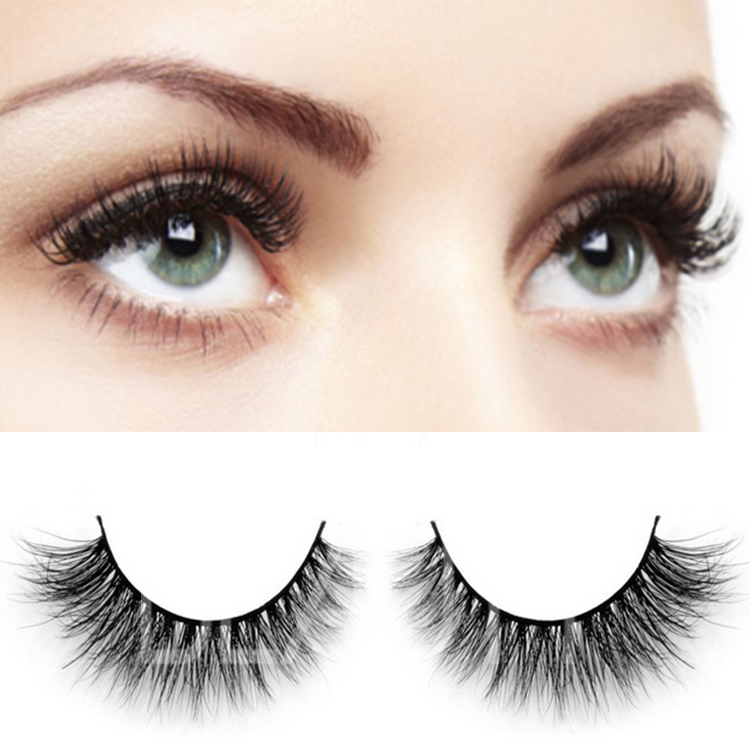 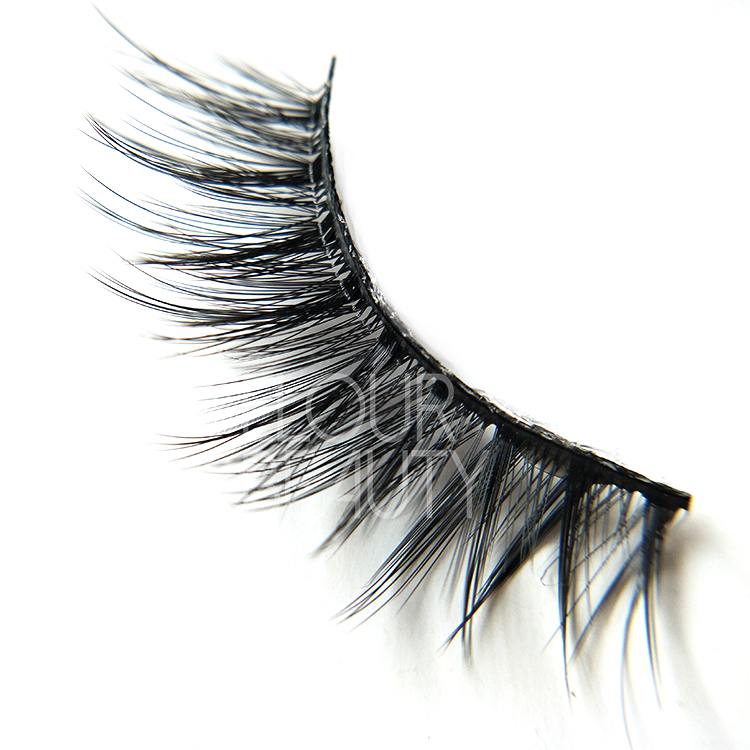 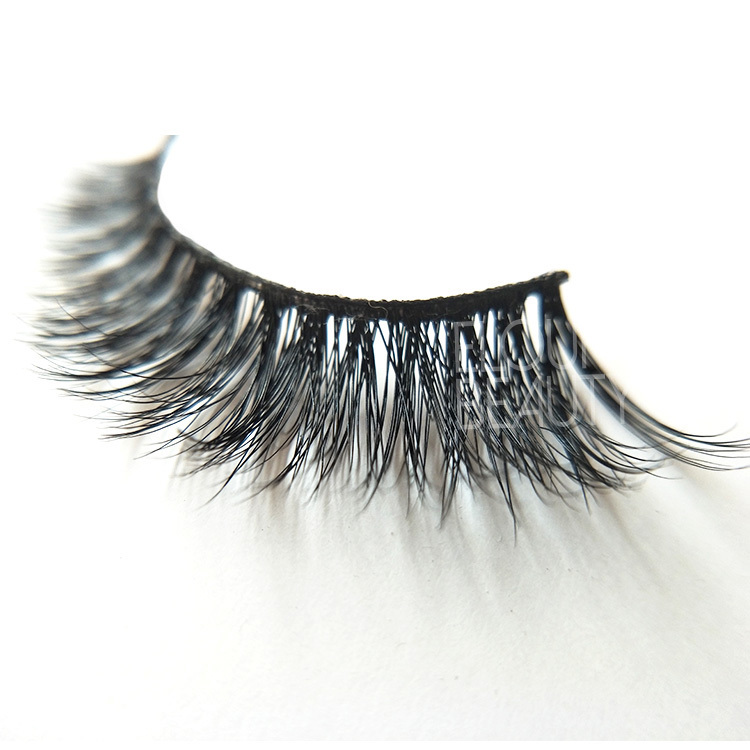 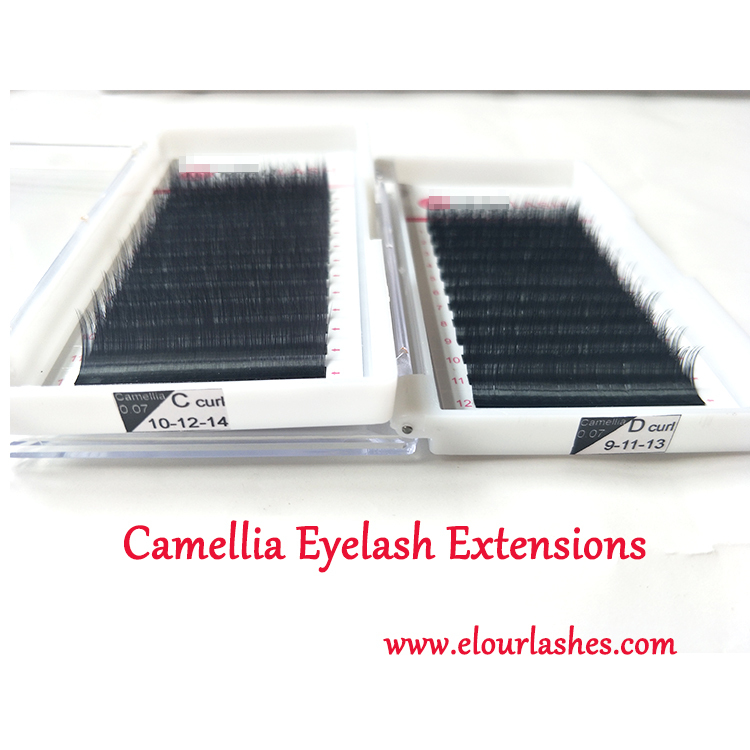 Elour lash factory professionally manufacture different kinds of high quality lashes.We are the eyelash wholesale distributor china and private label lash suppliers with high quality,fast shipping and low price.We ensure each strip pairs of the lashes in high quality,beautifu looking.We have pro QC in each process to inspect the lashes and we have pro designing team,for designing the unique private label package boxes for your own brad lashes.Our production time is about 7-10days according to quantity.We always try our best to do the best for you. 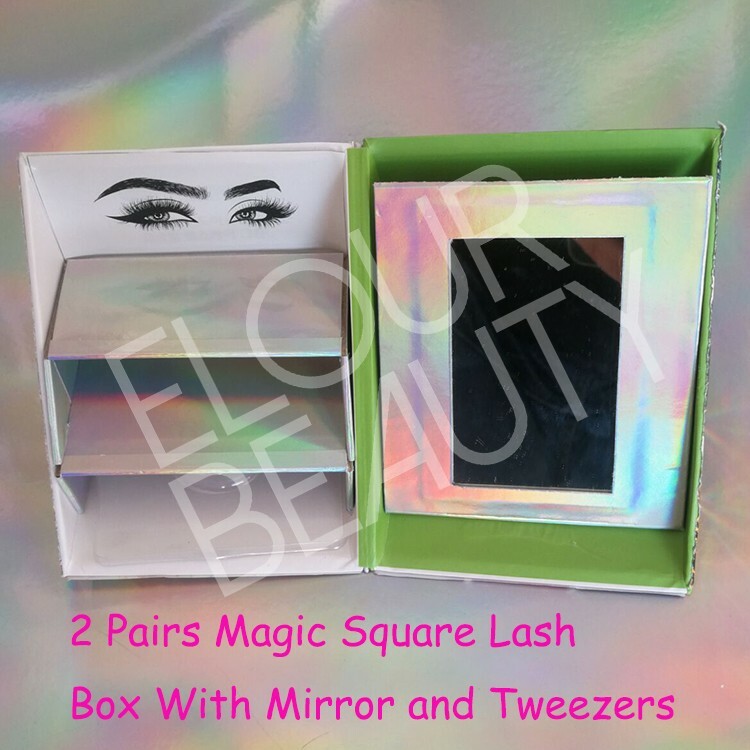 This magic square boxes are the newsest boxes we research and developed,will will be the popular lash pacakge style in 2019 for lashes.There is mirror inside,easy to use when wearing eyelashes,and can pack in 1pairs lashe,2pairs lashes,or 3pairs lashes,also can put tweezers,glues inside to make a set,reaslly usable. 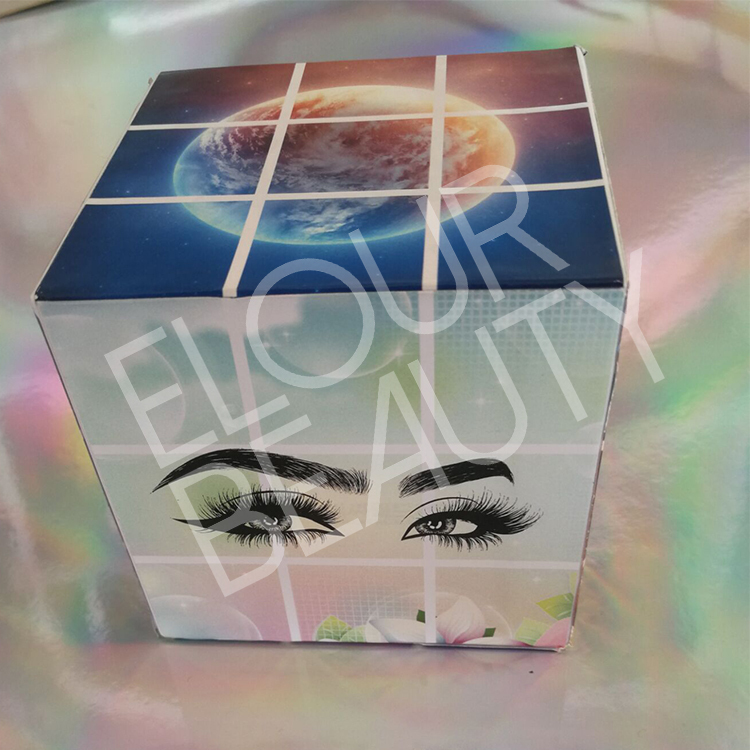 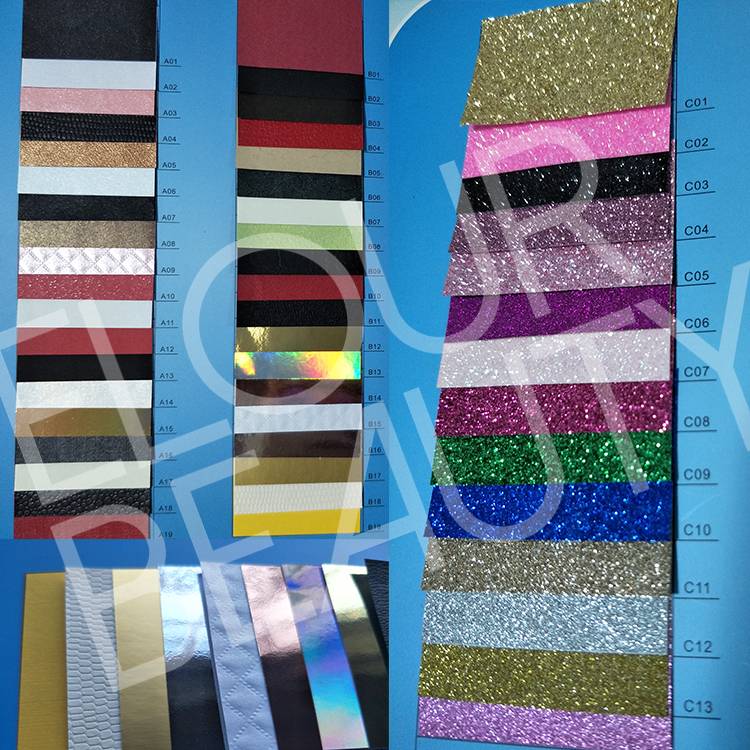 We do free design,and different kinds of material papers are for you choices,best paper do best eyelash package boxes for you. 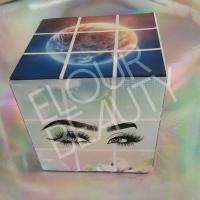 We have other new kinds of eyelash package boxes,all of them can do as you need,with your own logo,and requirement. 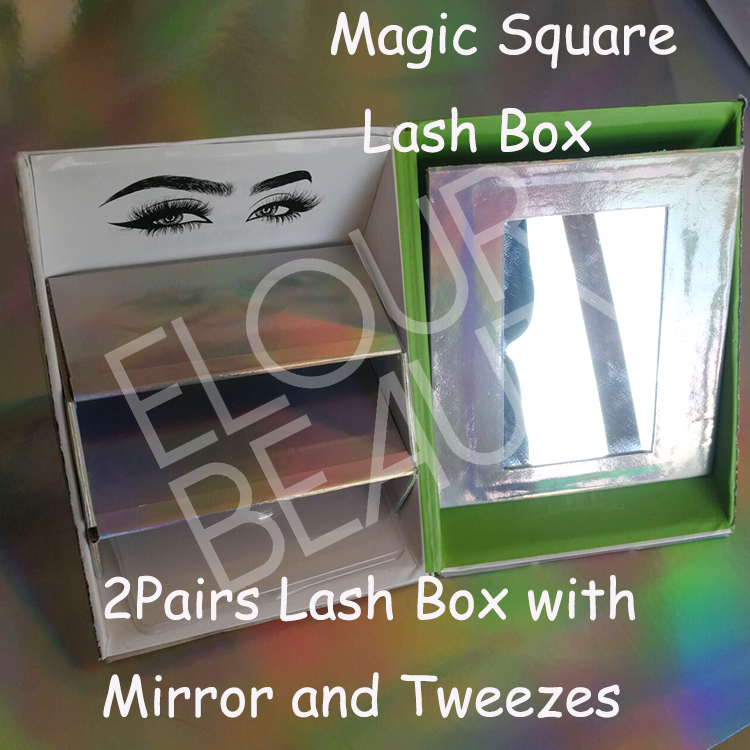 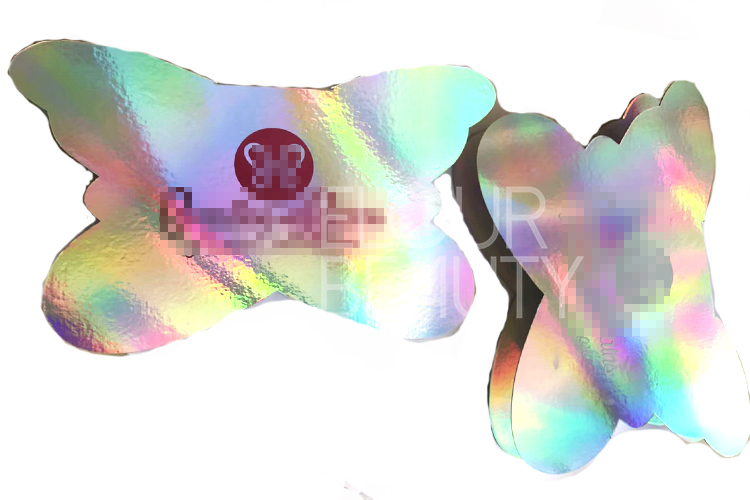 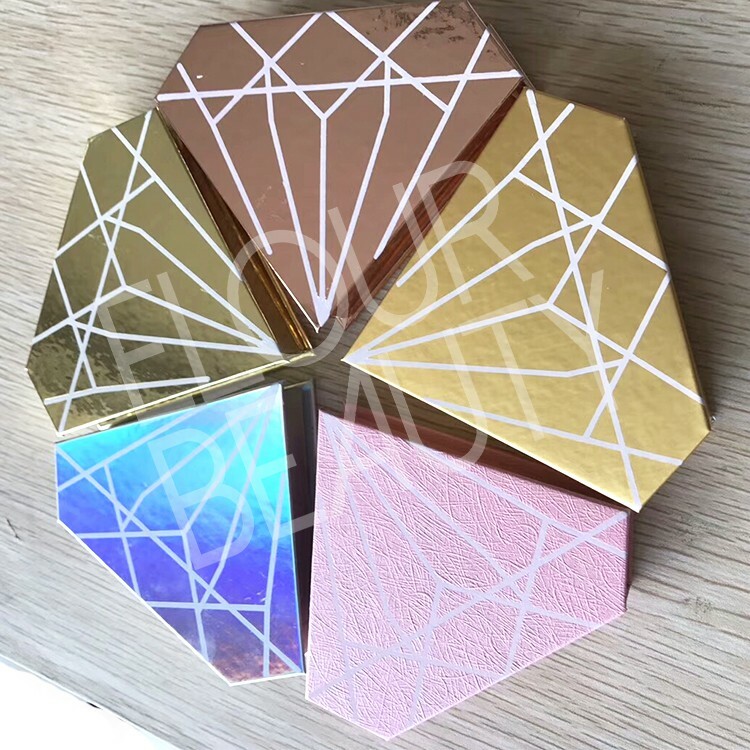 The diamond shape lash boxes are very shiny,luxury,and the butterfly shape lashes boxes also really new.Welcome you to try.